Summer is just around the corner and you still don't know where to go for your badly needed summer vacation? 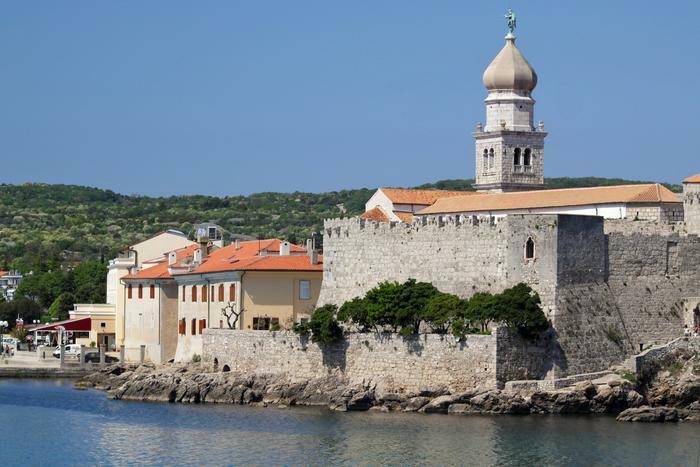 Croatia with its beautiful indented coast is an almost bottomless well of inspiration. To help you narrow down your choice, we've picked out 5 destinations in Croatia you should visit this summer. From Opatija on Kvarner to Hvar in Central Dalmatia, we believe you'll find the ideal destination for your summer vacation. Make summer 2017 the summer you'll visit one of the oldest tourist centers in Croatia, Opatija which for almost two centuries takes its visitor's breath away. The austro-hungarian charm, the 12 kilometer long promenade Lungomare which stretches through idilic settlements Volosko, Ičići and Lovran, the lush parks surrounded by the azure sea and the local sea food are just some of the reasons Opatia's guests fall in love with it at first sight. Opatia is ideal for all of you who want to enjoy a peaceful vacation. and if you plan to bring with you your pets book a pet friendly accommodation. 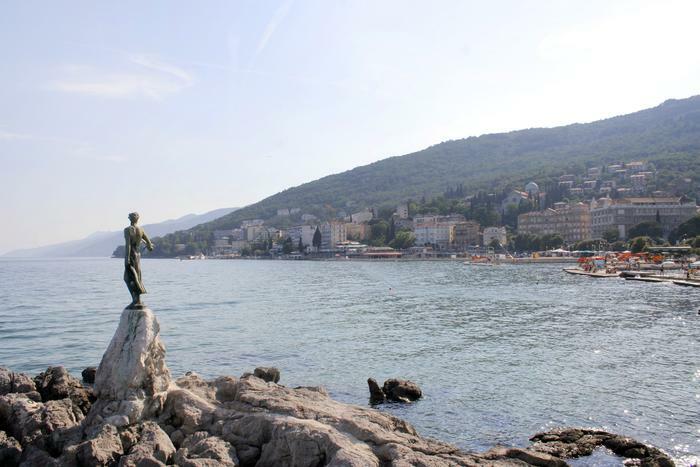 Opatija and nearby Lovran have dog beaches. Between Ičić and Opatija there is a pebble beach on Punta Kolova, while the dog beach in Lovran is placed just below the Villa Frappart on the Lungomare promenade. The largest Croatian island is situated in the region of Kvarner. Because of its beauty it was known as the golden island in antiquity. Even today Krk is a popular tourist destination for both local and foreign guests. No wonder, because there's always something to do and see on Krk. Krk is the very birthplace of Croatian culture – the Bašćanska plate, the oldest document written on glagoljica (old Croatian script), was made on Krk, while the imposing castle of the old gentry family Frankopan is a standing witness to the rich history of this island. 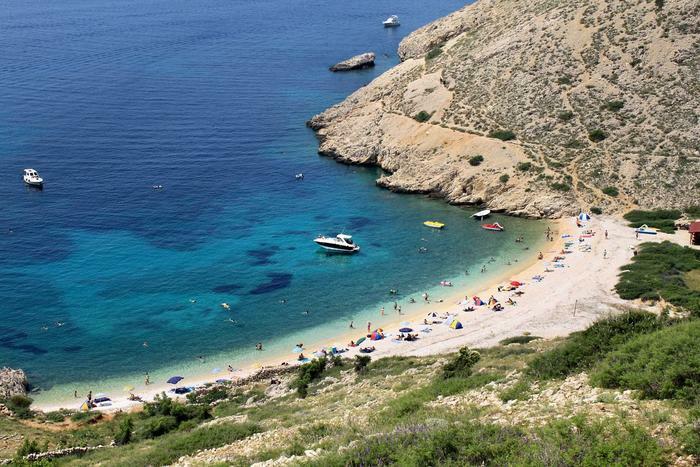 The sand, pebble and stone beaches of Krk are adorned by 15 Blue flags and many of them are for pets, families with children and some are naturist. The beaches have lots of diverse content like restaurants, caffes and different content for children. If you choose Krk for your vacation, book a good priced apartment or room from our offer of private accommodation. Getting to Krk with your car is made simple by the Krk most which connects the island to the mainland, e.g. Jadranska magistrala. The fee for cars is 35 kunas (around 4 euros). The legendary director Alfred Hitchock on his visit to Zadar proclaimed it the city with the most beautiful sunset in the world. The architects of the Salute to the sun instalation probably had that on mind when making this unique work of art. Beside the Salute to the sun, Zadar is known for its Sea organs whose music is made by the waves. These two impressive instalations are placed beside each other so that makes your stroll through the Riva a real treat for both eyes and ears. 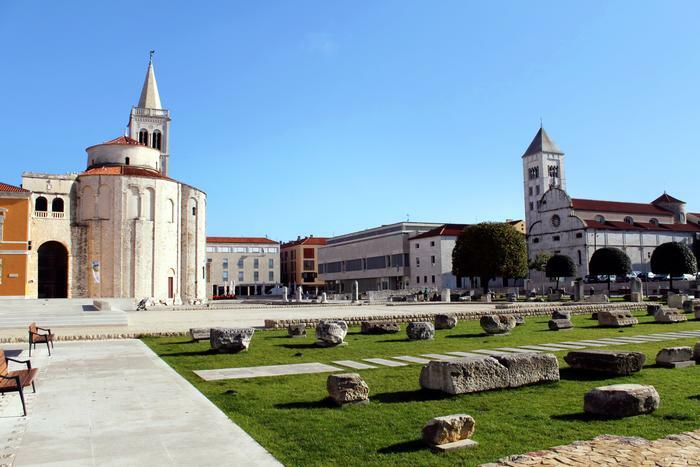 Zadar will thrill its guests with a combination of antique and renaissance architecture, rich cultural offer and exciting night life in Zadar's centre. Maybe that's why it was made the Best european destination in 2016., and that's one more reason why you should visit Zadar this summer too. Pick an apartment or room from our offer of private accommodation in Zadar and book an unforgettable summer! Salute to the sun is a light installation clearly visible only when the Sun sets completely. We recommend you visit it at night (around 10 P.M.). Nights in Zadar can be fresh so bring a long sleeved t-shirt. Šibenik enriches its tourist offer every year with different content. Book an apartment or room and visit Šibenik this summer – admire the view of the city and surrounding islands from one of Šibenik's four fortresses; take a stroll through the Old town and count the chiseled heads on the walls of the Cathedral of St. Jacob; refresh yourself with a dip on the city beach Banje that offers lots of content for families with children. In case you're in a mood for something different, sail to the 1.5 km long islet of Obonjan where you can do yoga, listen to different world and Croatian musicians, or you can just lay back into your beach chair and sip coctails on one of Obonjan's beaches. Just 8 kilometers from Šibenik, there's the Hawk centre (Sokolarski centar) in Dubrava, one of its kind in Croatia. Get face to face with one of the predatory birds taken care of by the staff who nurture them and let them free when the birds get better. The Hawk centre will be interesting to kids who want to find out interesting facts about these beautiful predators. 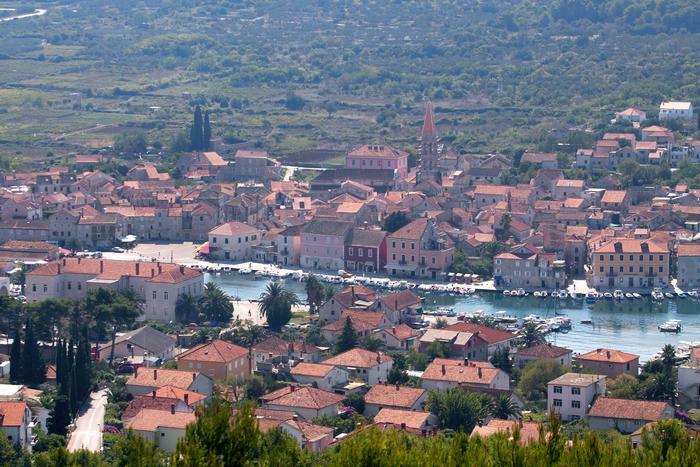 While the Best european destination award in 2016 was won by Zadar, this year the city of Stari Grad on Hvar island made it to the top 15 selection of the same award. 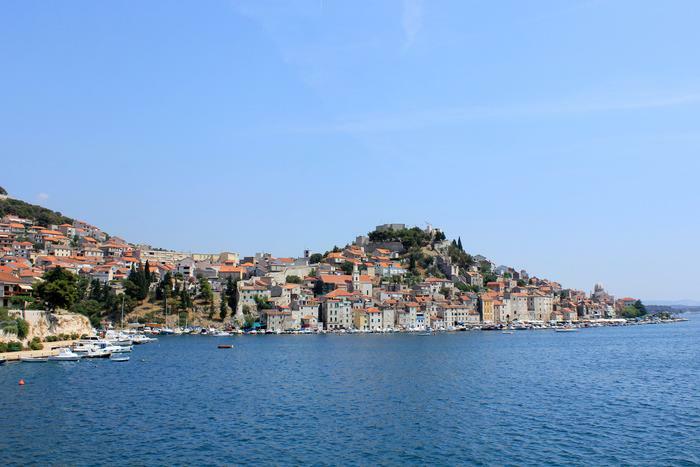 Unlike city Hvar, a hotbed for partygoers and world celebrities like Bill Gates or Beyonce, this 2400 year old town is quite unspoilt by the mass tourism of its neighbour. Because of its interesting historical monuments, the UN World heritage sites (the historical core of the city and the Starigradsko polje) and laid back lifestyle, Stari Grad should definitely be visited by all of you wanting to unwind on your vacation. Book an apartment or room in Stari Grad! Visit the summerhouse, and later fortress of the renaissance Hvar writer Petar Hektorović which he conceived of as a world of its own where people, animals and plants live together harmoniously. The fish pond inhabited by mullets is still functional so is the dovecot just above it. Take a peak inside the house too and enter the renaissance history of Stari Grad.